Sculpture Size: 15 X 5 X 5.5 in. 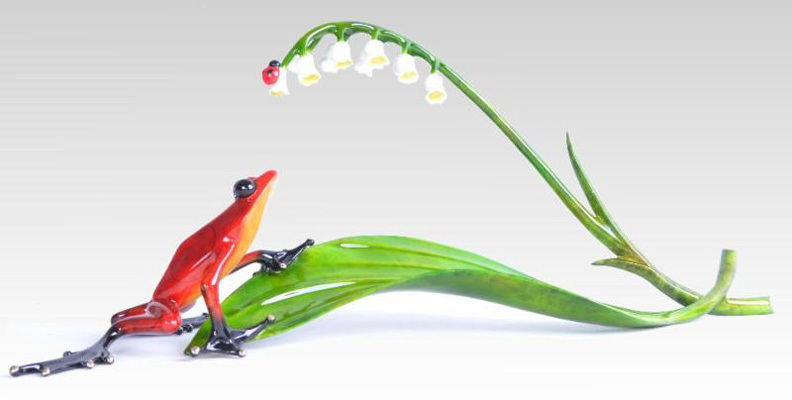 A vivid red frog spies a ladybug resting on a delicate sprig of Lily of the Valley flowers. The graceful arc that is formed by the flowers, leaf and the frog reminds us once again of the harmony of nature.